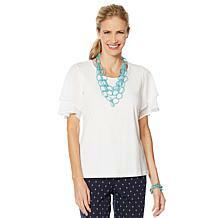 From the sailboat to a harbor-side brunch, this top has you covered! Printed patterns create visual interest while dainty ties on the 3/4-length sleeves add a feminine touch. With four nicely nautical colors to choose from, it's fashion ahoy! 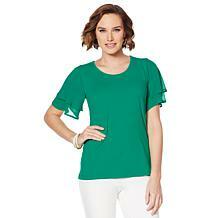 Make a dramatic gesture and look fabulous doing it. 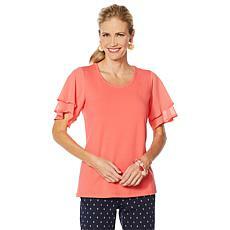 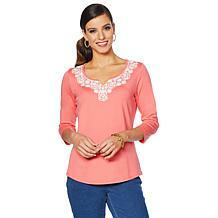 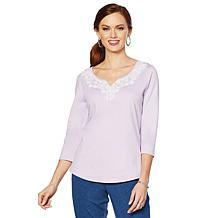 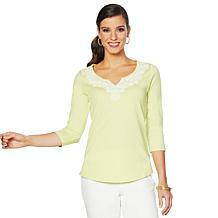 Lace eyelet sleeves and bold, cotton poplin flutter bell cuffs add a stylish touch to your favorite bottoms. 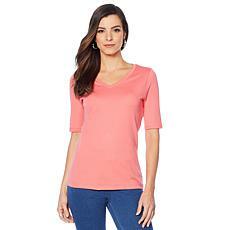 Play it cool at any time of day with the easy style of this versatile top. 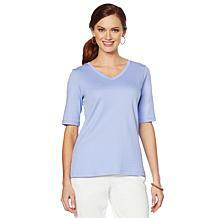 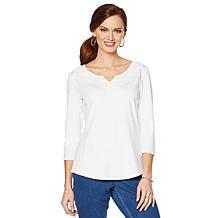 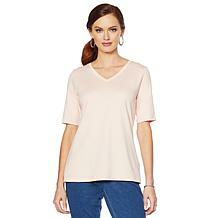 It features a distinctive V-neck and cute pocket, plus long sleeves with a roll tab to keep your options open. 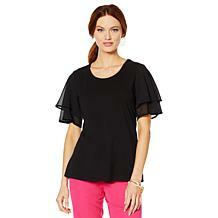 Whatever the occasion, this little number fits your needs to a tee.